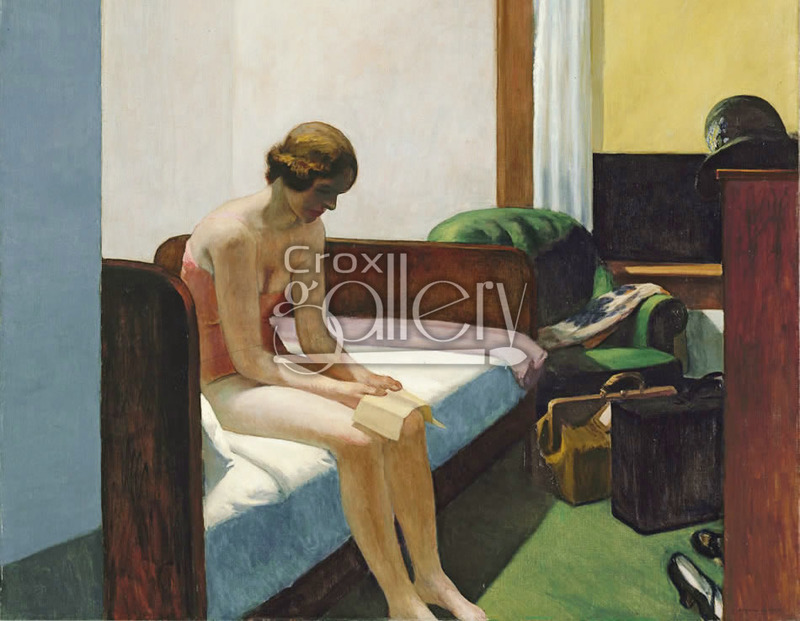 "Hotel Room" by Hopper, Oil Painting Reproduction. Hotel Room is a famous painting by the artist Edward Hopper. The work of art shows a woman seated on the bed of her hotel room. 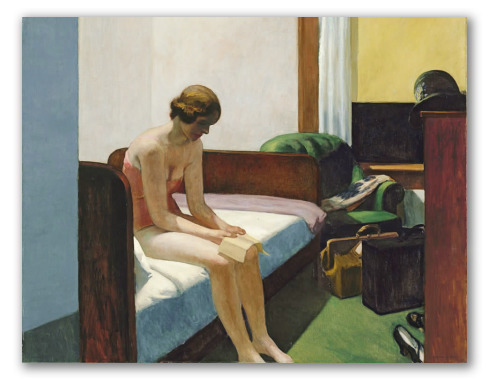 This painting evokes the loneliness and coldness of the morning, a source of frequent inspiration for Hopper.